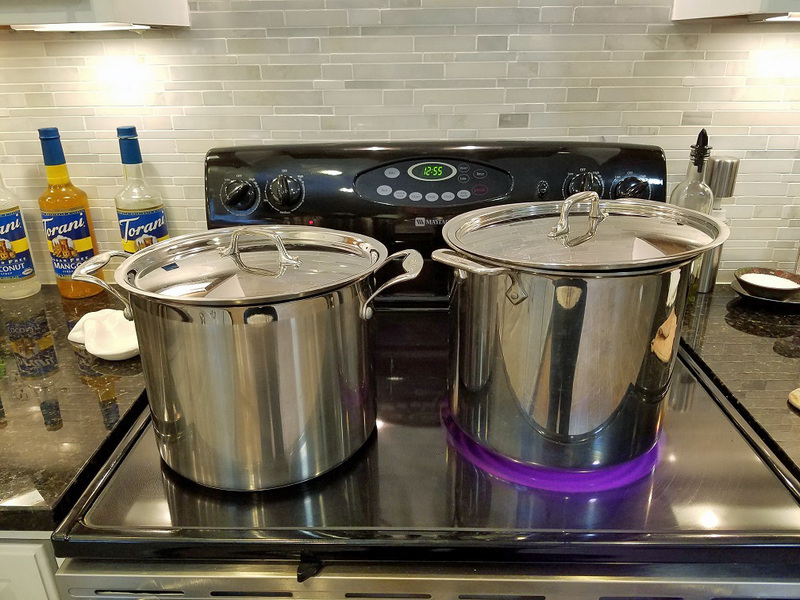 We're having a couple of cold, rainy, spring days this week so it's the perfect time to clean out the freezer and make some chicken stock! Throughout the year, I save chicken pieces-parts in the freezer until I have enough to make a big-ol'-batch of stock for pressure canning. My chicken stock recipe is never really the same, but the ultimate ingredient, if I can get my hands (or feet!) on them, is chicken feet! 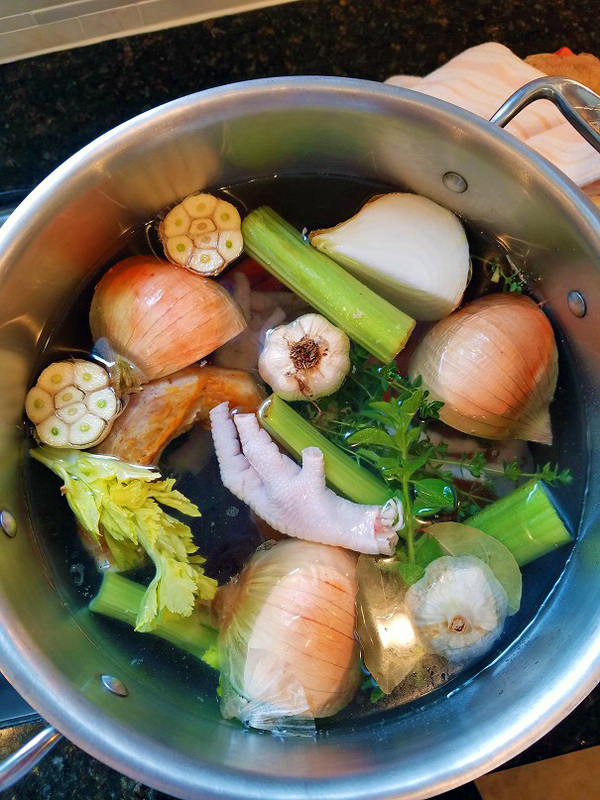 Chicken feet add an incredible, silky richness to chicken stock. They are loaded with collagen and can take your bland, watery chicken stock to another level. I've made stock with them before, and usually you can find chicken feet at specialty markets, but I actually found these at a local grocery store! Throw in as many as you'd like (uncooked), but be sure to nip/cut off the nail tips so all that collagen-y goodness can seep into your stock while cooking. My stock usually comprises roasted chicken pieces-parts, a cut up onion, a handful of roughly chopped celery and carrots, some garlic, bay leaves, fresh thyme and oregano, and some peppercorns. I bring to a boil and gently simmer for a couple of hours. Afterwards, I let the stock cool, then strain out the solids and chill in the refrigerator overnight. 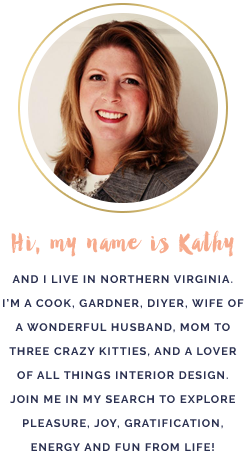 The next day, I skim off any solidified fat, bring back up to a simmer, and pressure can according to directions for my location. 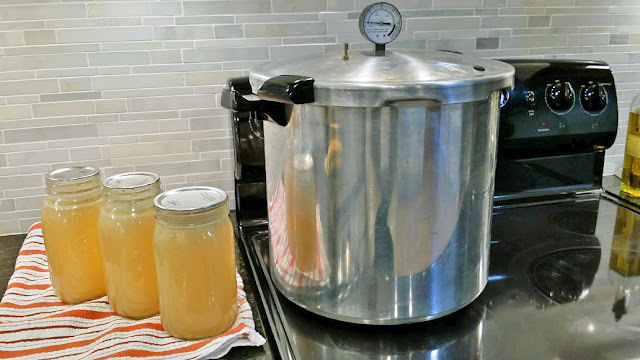 It's really important to allow the stock to chill overnite and then skim off any fat, as large amounts of fat in the stock can prevent your canning jars from sealing. I learned this lesson the hard way the last time I made stock. Anyway, I'm enjoying these cold, rainy spring days, as I know it won't be long till it's too hot to do anything in the kitchen.